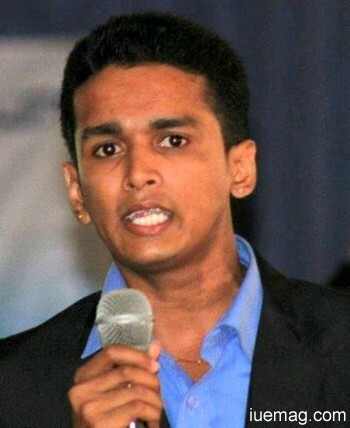 Gautham Navada is the founder and chief editor of Coondapur.com, co-founder and director at "People The vision" and Pace-Gen Technologies. He was born in Mysore and brought up in Kundapura. He is a budding entrepreneur who is running a number of websites. He is also a professional blogger, SEO consultant, an ace web developer and an acoustic guitarist. What motivated you to enter this field at such a young age? My parents always taught me, "When you're going to do something good, AGE DOESN'T MATTER". The same triggered my journey. It all started when my teacher Mr. Gopalkrishna recognized my tech craze in 5th grade and created an email id for me. In those days, I used to get email ids of everyone I met and built a mailing list of 2100+ people which helped in the publicity of Coondapur.com later. I started blogging during my 8th grade. I had none to guide me; rather I had friends who pulled my leg. At that time, I read a quote, "WHEN YOU WANT TO START SOMETHING, YOU JUST HAVE TO GO OUT THERE AND DO IT. THERE'S NO POINT THINKING ABOUT IT - Richard Branson". I felt that Richard Branson said those lines concentrating on just me and I started my 1st blog "BLANK_THOUGHTS". It took 2 years to master blogging but very soon my blog was hacked and I cried that day. However, I didn't give up. I started a new blog to build a blogging kingdom and named it "KINGDOM-G". I earned my 1st Google Adsense Cheque of $100 which was Rs.4,800 at the age of 15. Holding it in my hands was one of the best moments of my life. This time I copied links and gave free downloads and the blog became popular. It used to get 2,000-3,000 views a day and had touched 12,964 in a single day! Since it dealt with free downloads, I had to face many DCMA copyright violation complaints which forced me to shut it down. 2 reasons to start Coondapur.com were: One is that I wanted to re-enter blogging (coondapur.com is still hosted on Blogger.com) and the other one is That I want-ed to carry forward the inspiration I received from my role model to start a website on the same concept he had and implement it in my home town KUNDAPURA I wanted the domain name to be KUNDAPURA but all domains like KUNDA-PUR.COM, KUNDAPUR.IN, KUNDAPURA.COM, KUNDAPURA.IN were already booked. At that time, I found an old identity card of mine. My primary school was H.M.M.English Primary School. It was managed by a board named "COONDAPUR EDUCATION SOCIETY". Finally, I had got a name abiding all my con-straints. That's how I adopted the domain name COONDAPUR.COM. April 8th, 2012 was the day I bought the domain at the rate of Rs.399/year from Bigrock.in and parked it to Blogger. Coondapur.com is just a 11 month old website receiving 8,000-10,000 views per day and total page views exceed 5,00,000! "When you intend to do something innovative in life, people will tell you that you cannot do it but when you prove that you can, the same people will ask you: How did you do it? Blogging requires a little hard work but a lot of patience. Be thankful to GOD for gifting you with the ability to read and write. Every one of you is a born genius; you just need to recognize your God gifted potentials. Stay blessed and be happy always.